When I began writing this post, my first sentence was, "My grandmother will die within the next twenty-four hours." In the time it's taken me to complete this post, I can no longer claim such prescience. Let us begin again. My grandmother died Saturday morning: my last living grandparent, the last of that generation. It is a travesty that life is forced upon people whose lives become insufferable. My grandmother suffered for the last several weeks of her life, and I could not bear to visit her any longer. I received some small comfort--fully aware that my comfort is irrelevant--when my sister reported that my grandmother was finally receiving hospice care. In Being and Time, Heidegger attempts to think through Dasein's being as time, as the relationship one has with her own ever-oncoming death. Authenticity arises within the appropriation of the event of one's own possibility of impossibility, of "being" when one no longer is. 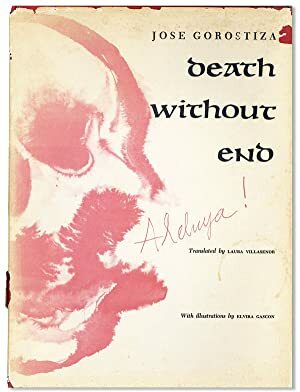 Lévinas and Blanchot would want to overturn that understanding, positing instead the experience of one's death as the limit, the limen, the aporia of one's power. Death saps us of all possibility, even of the possibility to experience our own death, which remains forever beyond our grasp: in dying, we never die. Death, for these two thinkers, reveals itself as the non-relational relation, exposing human beings to our own powerlessness of possibility. One of my earliest memories of my grandparents was of them speaking, always in the subjunctive, of visiting Hawai'i. My grandfather served in the US military and fought in the Pacific during World War II. Though blinded by shrapnel, he always talked about returning to Hawai'i to see it "after the war." I remember fantasizing as a child about being able to join them on their trip, either by plane or by ship, to those distant tropical islands. Television programs such as Love Boat and Fantasy Island only fueled my delusions of travel. My grandfather died in 2006. I remember being only vaguely aware of how possibility had slipped away, replaced by the impossibility of returning to Hawai'i. A few days ago, however, as I confronted the imminent death of my grandmother, I was overwhelmed by the fact that we, that she, had reached the extent of power. Even should I make it to Hawai'i someday, the possibility of that trip had been erased, eradicated, destroyed. Hawai'i would be like death: never traveled to, never traversed. Something we could have only ever spoken of in the subjunctive, in the conditional, in the recession of what might be possible and the withdrawal of power itself. I spent a few hours the other day cleaning out my study, throwing out, shredding, and recycling various papers I've collected over the past several years in anticipation of a much larger purge during the new year. Among these sheets I kept encountering past lives, either those I actually lived or those I had at one time intended to live. There was one page on which I had written a fairly extensive business plan for a Japanese import shop, complete with name, corporate identity, a list of items to carry and services to offer. It was written after returning from my two-year stint in Japan when I had no idea how to proceed in my life career-wise. Another "business plan" I had developed a few years later was as teacher/tutor of various Slavic languages: Russian, Polish, Czech, and Ukrainian. I had several pages of a copied flyer that I had posted about town and at local universities. In a matter of three short years I had reduced my ambition from business entrepreneur to second-class teacher and part-time tutor. Thankfully, neither of these "career" paths panned out. Instead, I was to eventually (or finally) return to graduate school to complete the doctorate. Now I'm at that crossroads in my personal and professional lives that it's time to narrow my past and eventual paths down to the bare essentials. I no longer need a business plan for a Japanese import shop. I no longer need to market my language skills as a means of earning a few random bucks from poor students who mistakenly think they need to develop skills in any of my languages. It's now time to let go, to let be. Goodbye to these pasts, these past lives, these potentialities and possibilities. Hello to me and the path I've chosen and still adore.